Join our newsletter to receive updates. THIS POST MAY CONTAIN COMPENSATED LINKS. FIND MORE INFO IN MY DISCLAIMER. 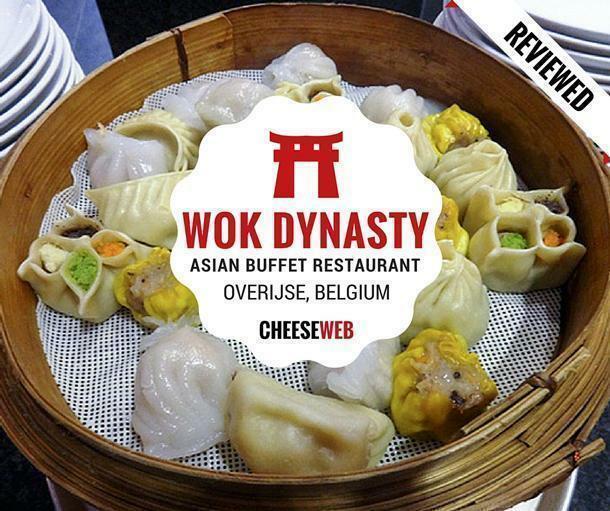 Contributor, Monika, reviews the family-friendly, Asian buffet restaurant, Wok Dynasty, in Overijse, near Brussels, Belgium. 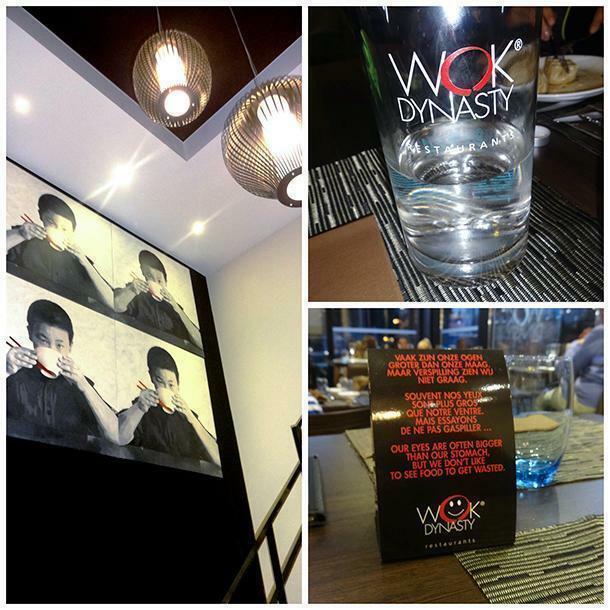 If your idea of an all-you-can-eat buffet is old, stale, mediocre food, you need to visit Wok Dynasty in Overijse, Brussels. Prepare to be surprised…the food is fresh and delicious, the selection is great, and there is also the option of getting your choice of meat or vegetables grilled in Teppanyaki style! The restaurant is well located, with plenty of parking nearby. The design is modern and the seating is very comfortable, though functional. We were a group of four adults, two children, and one toddler and we went on a Sunday evening, without reservation. Not a great thing to do, right? However, the concierge was accommodating and tried to give us good seating, considering the restaurant was super busy at the time. The pumpkin soup looked appetising, however, I decided to give it a miss. I rushed straight to the dim sums and momos, or dumplings. The dim sums were tender, had flavourful fillings, and were both vegetarian and non-vegetarian. 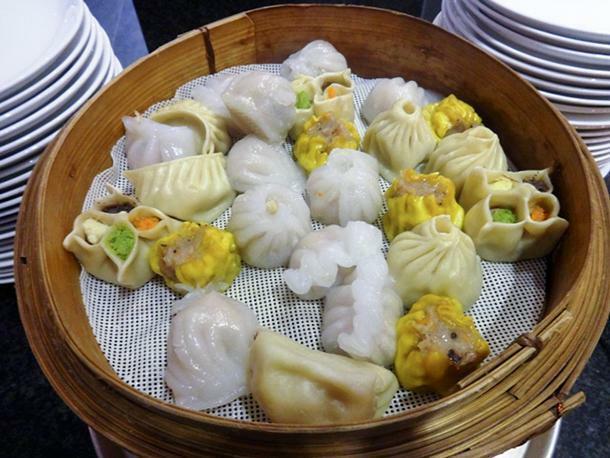 Dumplings, dim sum, momos – whatever you call them, they are tasty! My next stop was the sushi counter, which had different sushi rolls, with vinegar flavoured sushi rice, and both uramaki and futomaki rolls. I tried an uramaki roll, with the sushi rice peppered with sesame seeds on the outside. The salmon sushi was yummy too, with the freshness of the salmon flavour shining through. There was also soy sauce, wasabi, and pickled ginger to cleanse your palette in between. 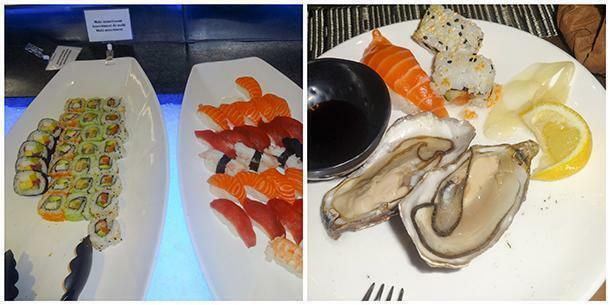 Just next to the sushi counter, there was an arrangement of oysters, big and small, all calling to you. Not much of an oyster person, I didn’t sample the sliminess of the delicacy, however, others in my group were quite happy with the taste! The salad selection was also great – fresh, crunchy greens, with vinegar or yoghurt dressing; seafood (I especially devoured the smoked mackerel); and an array of olives, mozzarella, and tomato salad. There were also batter fried calamari, shrimp, spring rolls, and the ubiquitous fries. The calamari and shrimp were both fresh, crisp, and had a ‘bite’. There was also a good selection of noodles, vegetables in soy sauce, and shrimp and duck in an orange sauce. The duck meat was firm, not too chewy, and the sauce was just right, to give the meat a nice gleam of orange sweetness, without making it too greasy or moist. 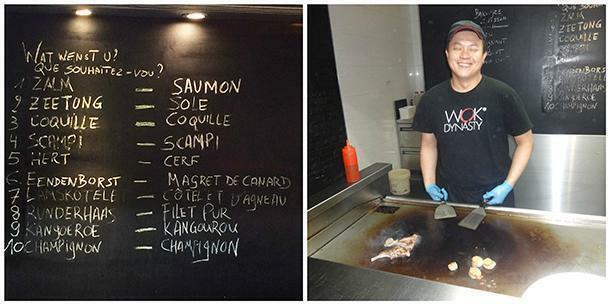 The Teppanyaki counter was fun too, as you could choose your meat or fish and have it cooked to order by the chef. The chef was quite happy to indulge in ‘small talk’, and was clearly enjoying his work, the result: nicely done meat and satisfied clients! I chose lamb chops and I was quite happy with the quality of meat: nice, tender, and juicy lamb chops. The meat options were quite varied and there was something for everyone. You could also have vegetables cooked at another counter and choose your sauce to go with the veggies. My last stop was obviously the dessert counter, featuring cakes, profiteroles, pannacotta, caramel custard, and mango mousse. 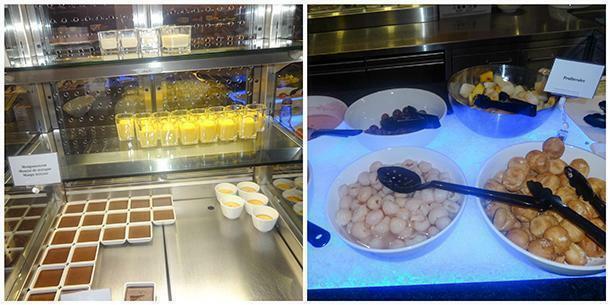 There was fresh fruit and canned fruit in syrup, and also ice cream. I decided to try the mango mousse and I was not disappointed. It was flavoured just right and was creamy and melted perfectly on the tongue. Others in the group happily enjoyed the fruits, ice cream, and the caramel custard. 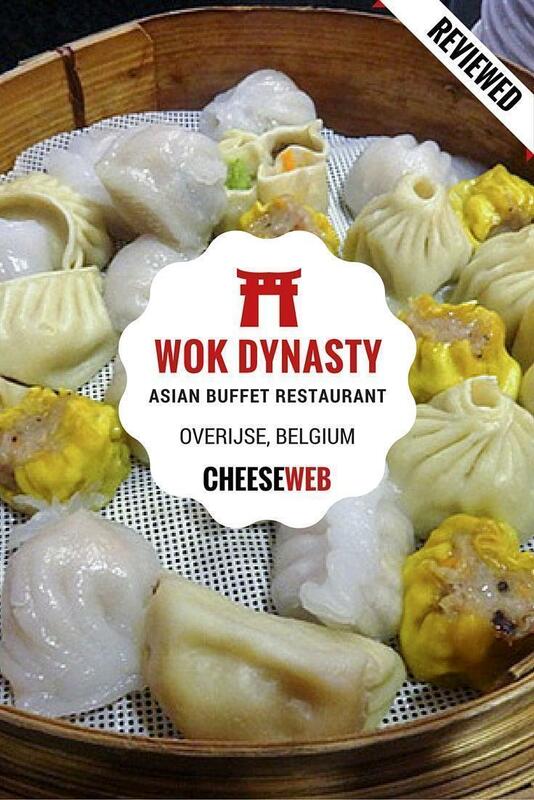 Later, I learned Wok Dynasty is a chain and they also have restaurants in other locations in Belgium (Heverlee, Keerbergen, Aartselaar, and Sint-Martins-Latem). I haven’t visited their other restaurants, but the Overijse location was definitely something to write home about! The food selection was great; the service was attentive, with the dishes being replenished as soon as they were empty. The plates were removed quickly from our table after we finished each serving. Most importantly, the food is fresh and flavoursome. 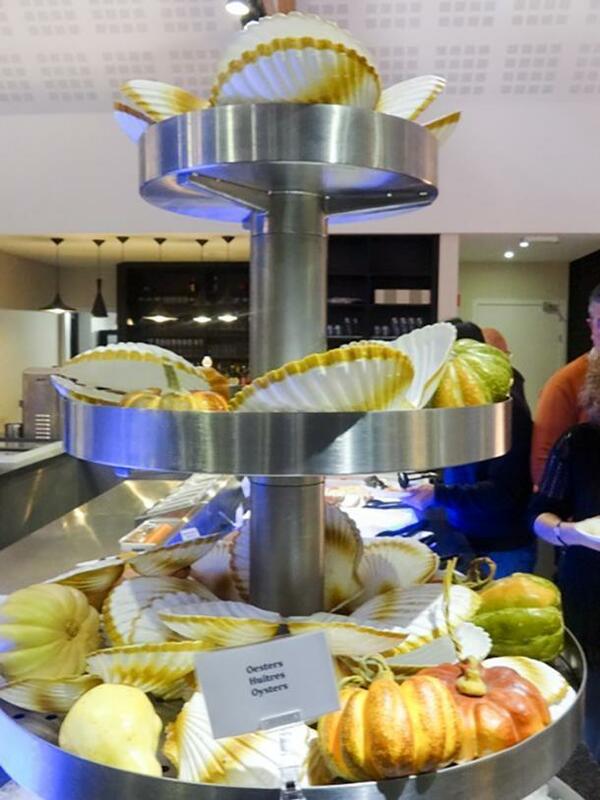 It is also good value for money with the buffet priced at 25-27 euros, per person, depending whether you take the Teppanyaki option. Kids eat at half price and the concierge had mentioned they would be happy to provide more options for the kids. 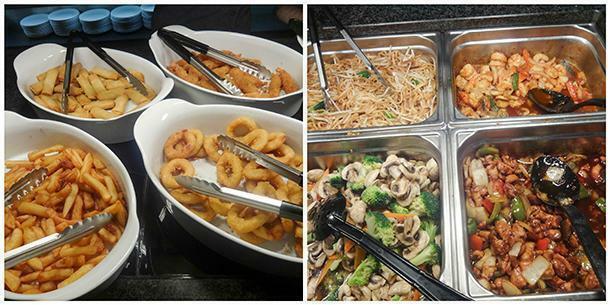 One thing is for sure, Wok Dynasty is not your ordinary buffet restaurant. It definitely deserves a visit, if not more. I will go there again! Like this article? Save it to Pinterest! Monika Lamba Saini is an Indian expat, in Brussels, with her husband and an amiable, energetic toddler. Trained as a doctor and specialised as a pathologist, cancer research brought her to Brussels. When she is not working on molecular profiling of different types of thyroid carcinomas, she likes to cook, read and listen to music. Her favourite part of the day is definitely the time spent with the family. She is the author, co-author and peer reviewer of many national and international scientific publications. She is an avid foodie, loves to travel, explore new places, new cultures and also loves to write about them!